As well as producing some of the finest red wines, Burgundy is also the home to some of the finest, most expensive and rarest white wines in the world. With the vast majority made from Chardonnay, styles can vary; from crisp, dry, steely wines like those from Chablis, to the more full-bodied and richer styles of the south. Home to some of the finest producers and vineyards, we specialise in Burgundy’s top producers; including Leroy, Boillot, Leflaive, Fevre, Lafon and more. 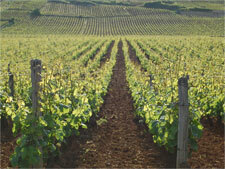 Whether you are looking for top mature Montrachet or some young Bourgogne Blanc, you should be able to find it here. If you can’t see what you are after, please do get in touch with us directly.